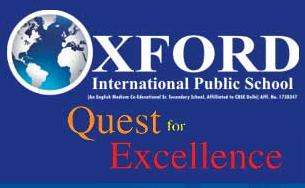 Oxford International Public School is an English medium, co-educational institute situated Jaipur. The school was established in the year 2001 and is managed by Oxford Public School Samitte. The school has a spacious campus covering approx 33,000 sqm. yards of land. The school is affiliated to Central Board Of Secondary Education and follows the NCERT syllabus and pattern strictly. Oxford International Public School gives admissions to the students in class I, II, III and IV, I to XI, according to the availability of seats and eligibility. The admission process for Oxford International Public School starts admission every year in the month of May and School starts in July. For admissions to Oxford International Public School School, parents should take an appointment with the admissions office of the School. you can get registration form either from the School office or from School website. Fill up the registration form and submit with necessary documents to the admission office. For Nursery admissions, the age limit is at least 2 years and 6 months as on May 31st.